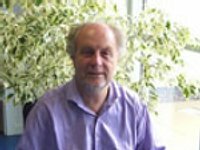 The School of Computer Science is delighted to announce that honorable lecturer Dr Roy Dyckhoff is an invited speaker at the conference on Automated Reasoning with Analytic Tableaux and Related Methods, in Wrocław (Poland) from 20–24 September. Abstract: This talk explores the relationship between coherent (aka “geometric”) logic and first-order logic (FOL), with special reference to the coherence/geometricity required of accessibility conditions in Negri’s work on modal logic (and our joint work with her on intermediate logic). It has been known to some since the 1970s that every first-order theory has a coherent conservative extension, and weaker versions of this result have been used in association with the automation of coherent logic; but, it is hard to find the result in the literature. We discuss various proofs of the result, and present a coherentisation algorithm with the desirable property of being idempotent.